Cambodia's new parliament met for the first time Wednesday, launching an era of one-party rule after an uncontested election handed the ruling party of strongman Hun Sen all 125 seats. July's poll has been derided internationally after the only credible opposition party was disbanded before the vote. On Wednesday lawmakers from Hun Sen's Cambodian People's Party (CPP) took their seats as Heng Samrin, the parliament's oldest member, was appointed as temporary prime minister. Parliament will reconvene on Thursday for the formality of voting Hun Sen back in as prime minister, extending his 33-year rule over the country by another five years. King Norodom Sihamoni, Cambodia's head of state but whose role is mainly symbolic, opened the session, urging the country to "stand united and show strong national solidarity". The election run-up divided Cambodians between those who buy into Hun Sen's mantra of stability and economic growth and younger people wearied by rampant graft, the shrinking space for free expression and the nepotism of the CPP's networks. But on election day voter turnout was 83 percent. Over 600,000 ballots -- around 10 percent of the total cast -- were spoiled, indicating discontent with the lack of a credible opposition. 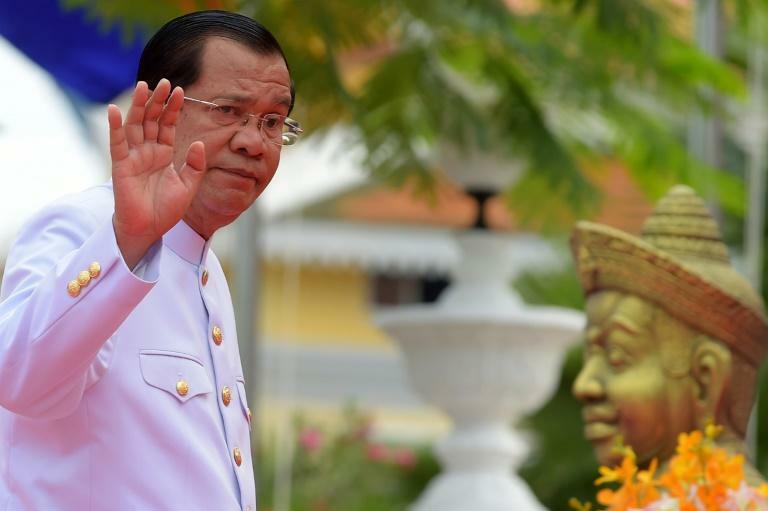 With his grip on power assured, Hun Sen has begun to relax his tolerance of dissent, requesting royal pardons for activists and members of the now dissolved opposition Cambodia National Rescue Party (CNRP) who were jailed in the run-up to the vote. Last week, 14 CNRP supporters jailed for insurrection were released after they sent apology letters to Hun Sen. But so far the pardons have yet to include the CNRP's co-founder Kem Sokha, who remains in a remote prison near the Vietnamese border.